Evidence-based programming is essential to an effective juvenile justice system—and to keeping youth on the path to productive, crime-free lives. To that end, I am excited to announce a new milestone for OJJDP's Model Programs Guide — the release of its 300th program! 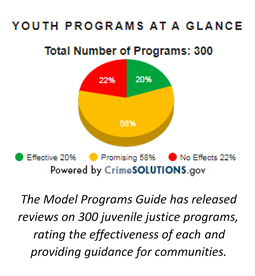 The Model Programs Guide—or MPG—is a central, credible resource that helps practitioners and policymakers understand what works in juvenile justice programs and practices. Communities across the country need programs and strategies that are proven effective in preventing and reducing juvenile delinquency. Local leaders often find it challenging to identify effective programs that fit the needs of their communities, while steering clear of ineffective programming. Our job at OJJDP is to make sure our state, local and tribal partners have this information available and ready to use. That's where MPG comes in. 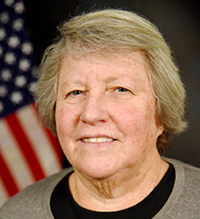 It serves as a database for practitioners and communities on what works, what doesn't work and what is promising when it comes to programs that address delinquency prevention and child protection. MPG applies standard criteria to review existing evaluation research on a range of juvenile justice-related programs. Through this review process, programs undergo a rigorous analysis that determines whether they are effective, promising or have no effect. OJJDP partners with the National Institute of Justice and leverages the same rating process and database as CrimeSolutions.gov, a broader clearinghouse of criminal and juvenile justice programs and practices. While both sites profile the same juvenile programs, MPG is tailored to the juvenile justice community, sorting its programs across nearly 100 youth-specific topics. The 300th program profiled on MPG provides gender-responsive interventions in two group homes for adjudicated females. The program was evaluated with a quasi-experimental design and received a "promising" rating. The evaluation showed that the girls who received the gender-responsive, personalized services (e.g., cognitive behavioral therapy, positive relationship support, and communication skill building) had lower recidivism rates after two years compared with the group who did not receive the services. The strength and uniqueness of MPG lies in the diversity of its programs. Program topics range from law enforcement investigations to family violence to youth substance abuse, and many others. Having programs that have been identified as effective or promising can be a critical resource for communities in tailoring a program to fit their specific needs. In addition to the program evaluations, MPG supports policymakers and practitioners through regularly updated literature reviews on 55 juvenile justice topics and programs—and the list is growing. MPG also offers new comprehensive I-Guides, which help communities better understand the challenges and steps to successfully implement a program. Two I-Guides are now available, one on diversion programs and another on programs to prevent bullying in schools. We expect to issue more I-Guides as the MPG continues to provide practitioners with analyses of research about new and promising programs in place throughout the field today. The Model Programs Guide is just one of the ways that OJJDP is supporting communities around the country in their efforts to improve outcomes for youth. 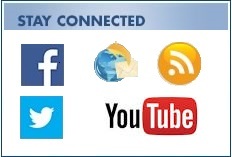 To learn more about OJJDP's activities and resources, subscribe to our news services – JUVJUST and OJJDP News @ a Glance.